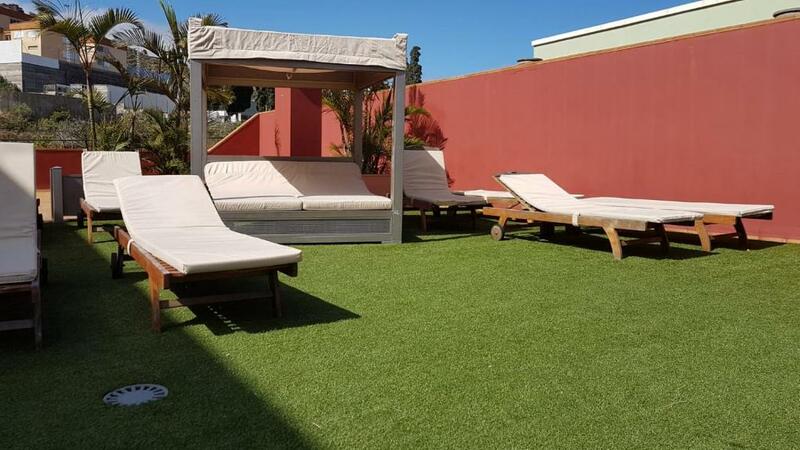 Spacious, good location, well equipped and very clean (cleaned every day) apartment. Friendly and helpful staff, property clean and functional. Perfect Place to Start Holiday. Much Space (two rooms and a kitchen). The apartment was spacious and a high quality finish. There was enough equipment to be able to provide simple meals. The staff were efficient and friendly. Supermarket with extended 7 day opening within 5 minutes downhill walk. The recepetionists were welcoming and helpful. The apartments are spacious, clean and well equipped. Location is close to the center and the port, cca 10 minutes walk (although uphill). Overall, good value for money. The free car park below with lift to all floors was great. Staff stayed later as ferry arrived at 10 pm. Room was very spacious and modern and clean . Sadly only 2 nights but would stay longer next time. Ten minute walk to centre of town , quiet area and got good night's sleep. The receptionist was very welcoming, the room was very spacious and had a great view. The kitchen facilities in the room were excellent although we did not use them, apart to make a coffee. We were able to leave our bags at reception when we checked out and collect them later in the day. It was a short walk into the town, and there were two supermarkets just a few minutes walk away. We would highly recommend this hotel and will definitely be returning. 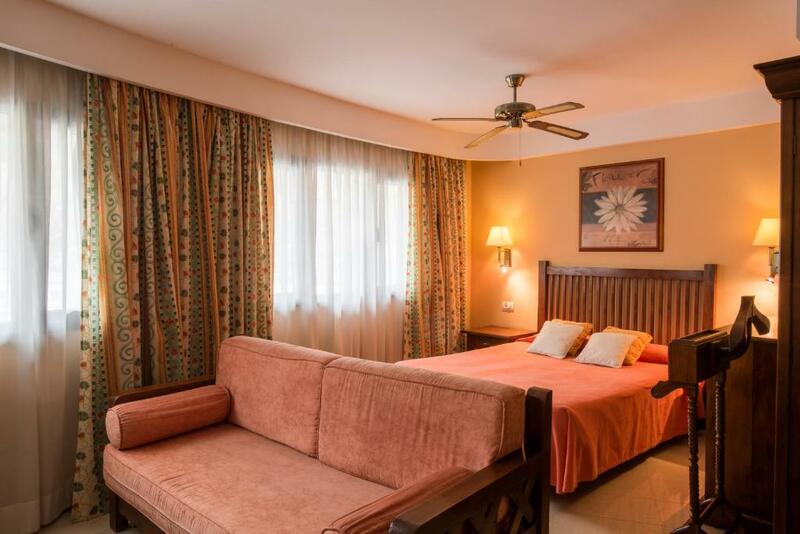 Lock in a great price for Aparthotel El Galeón – rated 8.5 by recent guests! Aparthotel El Galeón This rating is a reflection of how the property compares to the industry standard when it comes to price, facilities and services available. It's based on a self-evaluation by the property. Use this rating to help choose your stay! 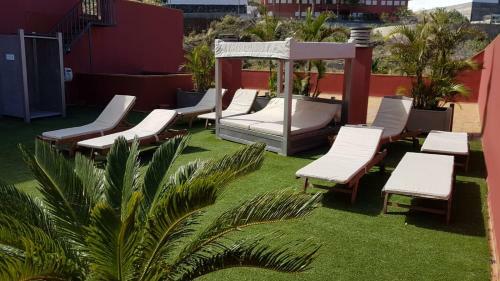 One of our top picks in Santa Cruz de la Palma.These comfortable and practical apartments with sea views are located only a few feet from the port and Santa Cruz de la Palma Old Town. Bajamar Beach is a 10-minute drive away. 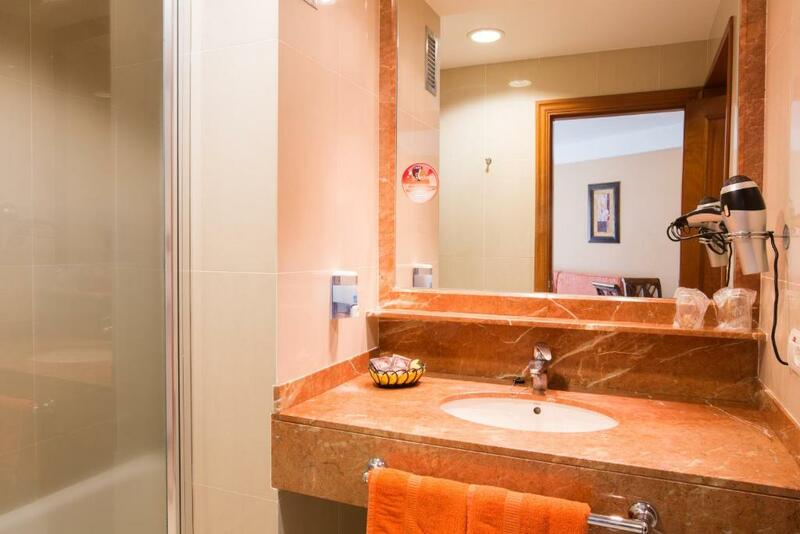 The apartments are equipped down to the finest detail and have been designed to make your stay a comfortable and pleasant one. 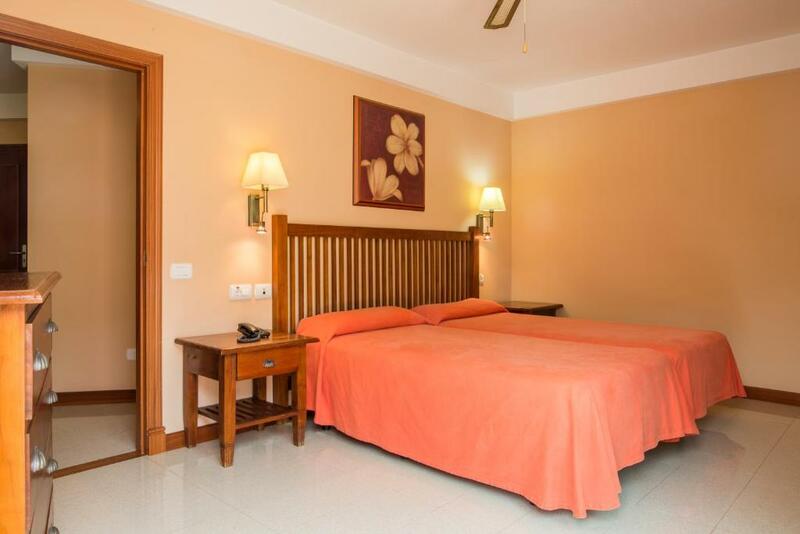 This is a tranquil base from which to explore the rich natural environment of the island. You can find plenty of information about cultural visits in the region and cuisine in this homely establishment. 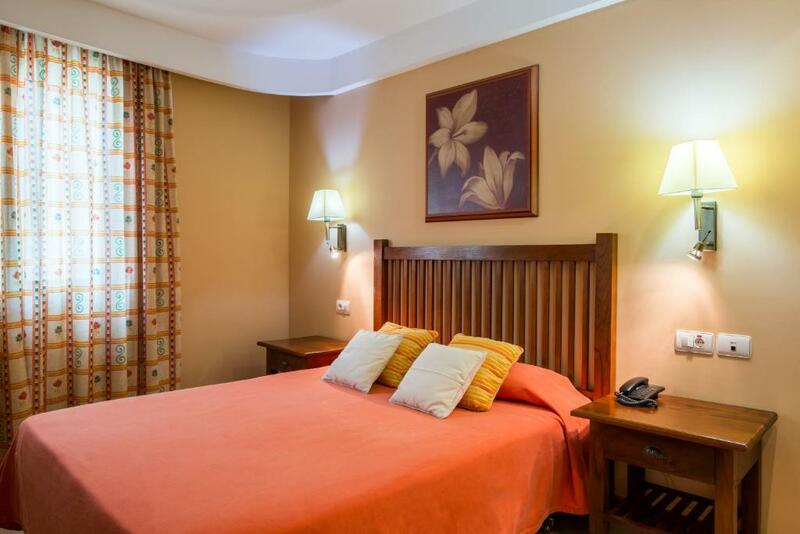 When would you like to stay at Aparthotel El Galeón? Apartment featuring a living room with a TV, sofa and fan. 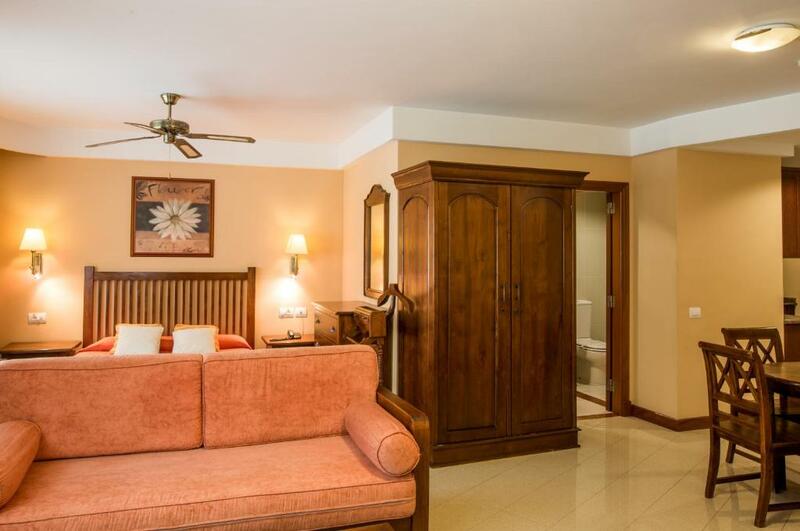 There is a private bathroom and a kitchen with a fridge and coffee maker. Apartment with a balcony and a fan. The living room has a TV and sofa. 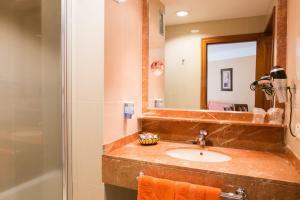 There is a private bathroom and a kitchen with a fridge and coffee maker. This studio has a seating area, kitchen and tile/marble floor. This apartment features a seating area, kitchenware and tile/marble floor. This family room has a electric kettle, tile/marble floor and toaster. House Rules Aparthotel El Galeón takes special requests – add in the next step! Aparthotel El Galeón accepts these cards and reserves the right to temporarily hold an amount prior to arrival. Please inform Aparthotel El Galeón of your expected arrival time in advance. You can use the Special Requests box when booking, or contact the property directly using the contact details in your confirmation. Traffic noise but with the windows closed it wasn't so bad. Coffee could have been better. The free in hotel parking was initially a challenge but was OK if taken slowly once negotiated for the first time. Apartment kitchen very basic facilities, with minimal equipment. Car parking not easy but really appreciated the fact it was available. Would have liked some bar or lounge facilities. Bit further out of town than expected. The Microwave oven needs servicing. The fan speed in the bedroom was a bit slow but ok. I think the AC was not very good it was making a lot of noise and I would prefer that you remove this. Friendly helpful reception staff. Great value for money and large apartment on the 3rd floor. I enjoyed the view from the balcony of the 'working' harbour and the cliff face. It's very quiet at night - though once the traffic starts in the morning noise increase, but the double glazing works well if you want to sleep in. but most people will be up and out. Perfect location for the old town. if you are driving there is a car park under the hotel. Very comfortable place. We booked the studio room and it was huge! In terms of location it's only about 10mins walk to the centre. 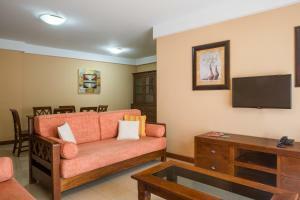 Close proximity to central area. Clean and good value.